Our 24 ounce heavy cotton canvas tote bag Measures 20 1/2" wide, 13" tall, 7 " in depth and the long 27" handles make it easy to put on and off your shoulder. Perfect as a carry on for your flight, take it to the pool, the spa, work, and carry your shopping purchases. 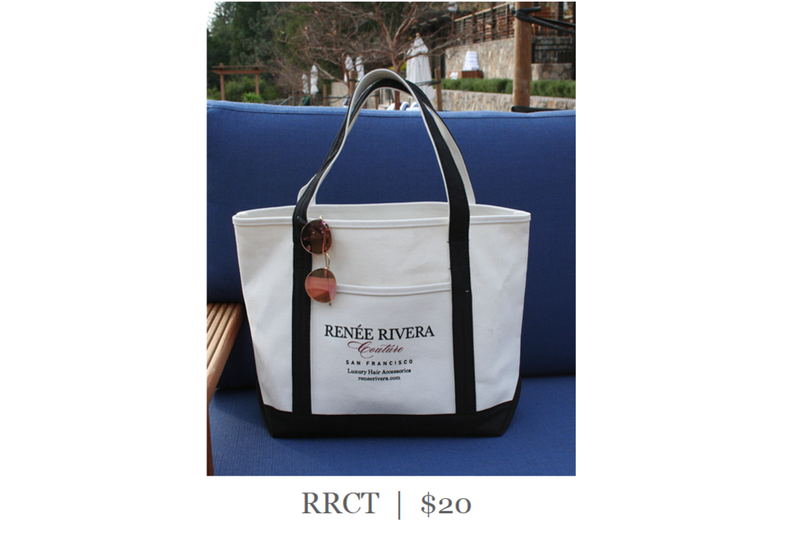 Black cotton trim and natural canvas with the Renee Rivera Couture Logo printed on the front pocket. Contents not included.